See artwork, then hear opera in Spanish: "Florencia en el Amazonas"
The first opera to be presented in Spanish in Nashville will be "Florencia en el Amazonas," performed by the Nashville Opera at the Tennessee Performing Arts Center on January 23, 25, & 27, 2015. 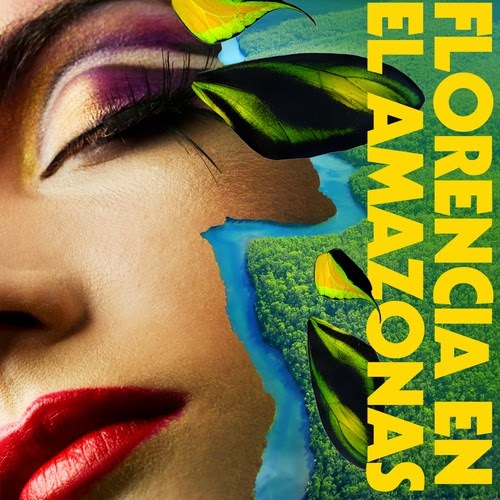 "Florencia en el Amazonas" was composed in Spanish by Daniel Catán and is inspired by the writings of Gabriel Garcia Marquez and the musical romanticism of Puccini and Debussy. The opera is sung in Spanish with easy-to-read projected English supertitles. A related preview of the opera, via visual art, is open now through January 17 at The Arts Company, 215 5th Avenue of the Arts in downtown Nashville, during regular gallery hours, 11:00 a.m. to 5:00 p.m. Tuesday through Saturday. The exhibition features nine local Hispanic artists. After the opera performances conclude on January 27, the exhibition will move to the Noah Liff Opera Center and will complete its run in April and May at Casa Azafran (specific dates to be announced later). The exhibition is supported through a Metro Nashville Arts Commission grant to the Nashville Opera, and presented in cooperation with Conexión Américas and The Arts Company. In 1910, seven people board a small steamboat for a voyage down the Amazon River toward an unexplored jungle paradise. But soon the characters find themselves on a surreal journey that dares to venture deep into the mysteries of the human heart. Among all the passengers, Florencia seeks the most desperate love of all: Lost love. A true love she long ago let slip through her fingers, and now vows to find again. “It is a privilege to help discover and present artists in the Nashville Hispanic community,” remarks Anne Brown, owner of The Arts Company. “Especially to work directly with the Nashville Opera and Conexión Américas, tying the artwork to the theme and style of an opera written in Spanish, as well as to the personal experiences of Hispanic artists living and working in the Nashville area." Participating artists include Liliana Velez, Jorge Arrieta, Orlando Garcia-Camacho, Antuco Chicaiza, Yuri Figueroa, Mandy Peitz, Mike Quinones and Jorge Yances. My Hispanic roots flow deep inside my creativity – beautiful and dangerous like a river meandering through the jungle. Vibrant shades of red, blue and orange saturate my work, dancing with shadows below. This Kansas girl is thrilled to be part of a show where I can exhibit the fantastic and magical scenes that permeate my mind.